Tobin Bridge —New England's Largest Double Decker — Under Repair in Mass. 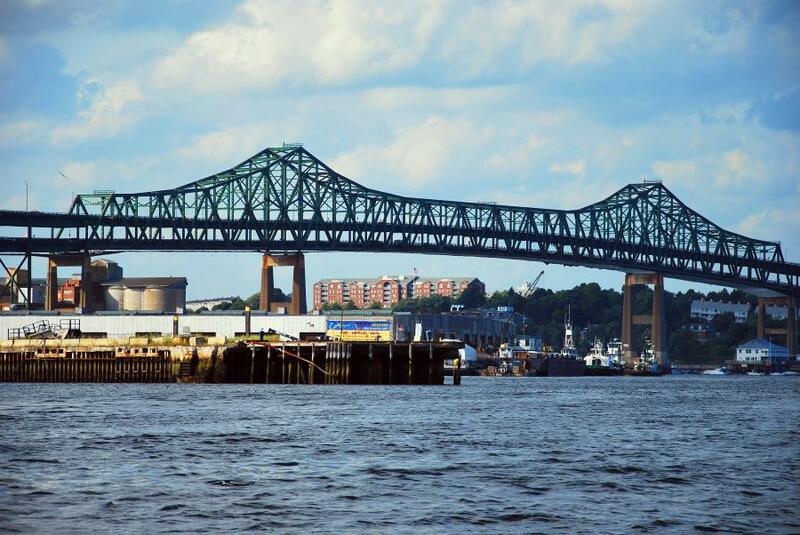 The Tobin Bridge in Chelsea, Mass., was erected in 1948-49 at a cost of $27 million. The bridge provides three lanes of passage both north and southbound over the Mystic River. It was designed by J.E. Greiner Co. and opened to traffic in 1950, connecting the Charlestown section of Boston with Chelsea. 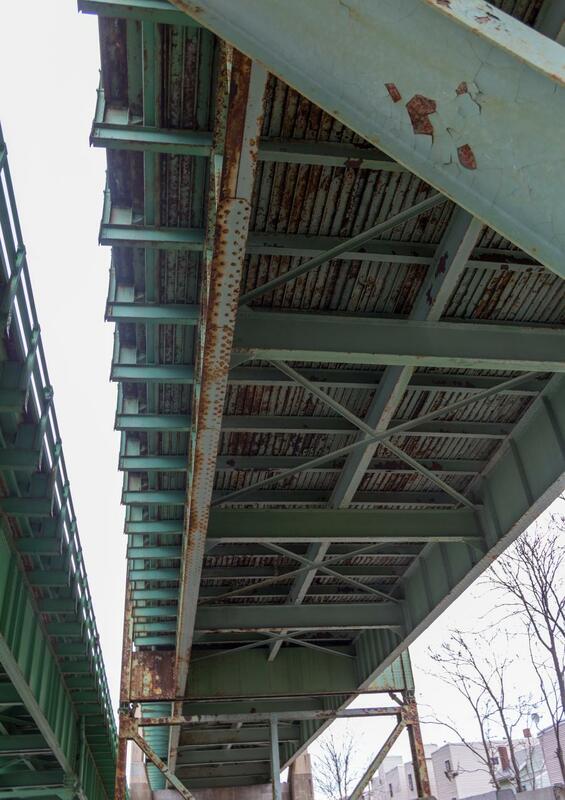 During its nearly 70-year tenure, the bridge has been plagued with aging rivets, rust and floor beam fissures. Potholes, electrical problems and bolts shaken out of place by vehicle vibrations add to the ever-growing list of maintenance items. According to the Boston Globe, the Massachusetts Port Authority wrapped up a 15-year, $50 million program to replace the decks, the asphalt and concrete making up the roads, and a $45 million program to scrape, prime and repaint the bridge around 2007. Another round of rehab took place from 2012 to 2014 under a new operator, the Massachusetts Department of Transportation (MassDOT). The three-year, $44.8 million bridge steel preservation and painting project was completed by Liberty-Alpha Joint Venture as contractor. Now it's time for another overhaul. 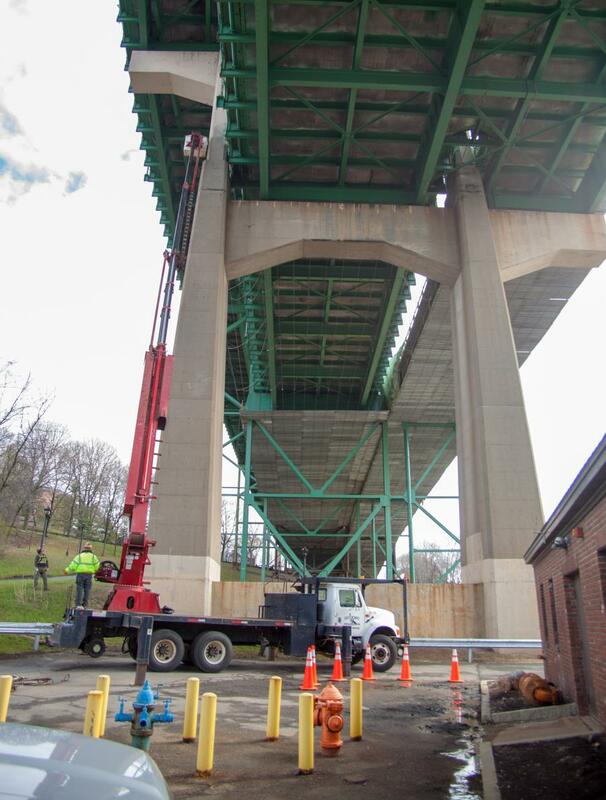 This $41.6 million project involves repairing a section of the deck of the Tobin Bridge, which carries Route 1 traffic between the Charlestown neighborhood of Boston and Chelsea. The project will occur on a section of the bridge known as the “approach spans” in Chelsea and will consist of resurfacing parts of Route 1 southbound (the upper deck) and the Everett Avenue ramp. Structural repairs will also occur, along with resurfacing parts of Route 1 northbound (the lower deck) and the Beacon Street ramp. Construction operations began spring 2018 and work is expected to be completed by the end of 2020. During the spring, summer and fall construction seasons of this project, the original plan called for a complete shut-down of one lane of Route 1 north to allow for construction operations, along with periodic overnight lane closures on Route 1 south to allow for milling and paving work. 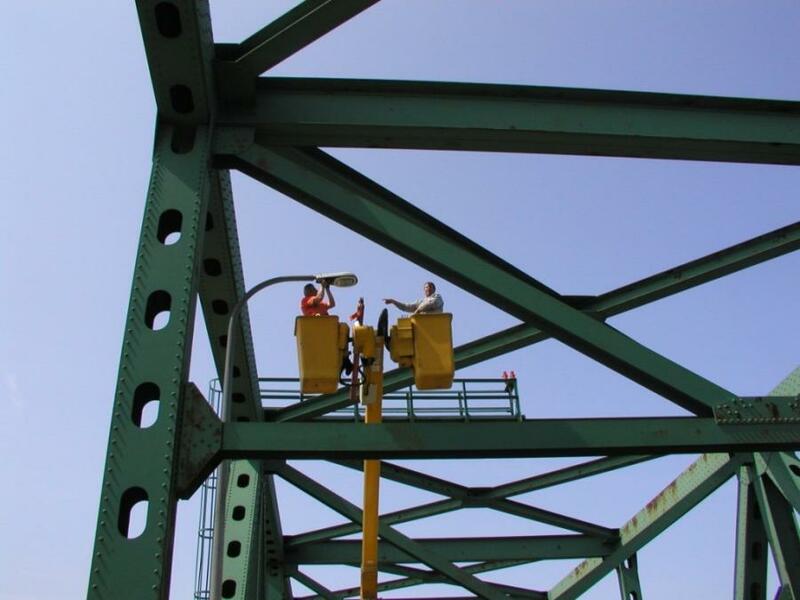 The change was implemented by MassDOT in coordination with other nearby ongoing and upcoming projects that have overlapping impacts, like the Viaduct Rehabilitation in Chelsea and the North Washington Street Bridge Replacement. Tobin is a three-span, cantilevered truss bridge 1,525 ft. in length. Its center span is 800 ft. and the maximum truss height is 115 ft. It provides a navigable waterway opening 700 ft. wide by 135 ft. high. A smaller, simply supported warren truss spans the Little Mystic. It reaches a maximum truss height of 65 ft. and is 439 ft. long. Its navigable waterway opening measures 340 ft. wide by 100 ft. high. The approaches comprise 36 spans on the north and 32 spans on the south. These spans are built-up plate girders of variable lengths (average length is 100 ft.). On the twelve-span toll plaza — set between the Little and Big Mystic trusses — the roadway widens to 102 ft. to accommodate seven collection lanes. The bridge also features an overhead electronic message board and a fire-suppression system. Including north and south approaches, the bridge is approximately 2 1/4 mi. long. The Tobin Bridge uses All Electronic Tolling (AET), as do the Massachusetts Turnpike (I-90) and the Boston Tunnels. J.F. White Contracting of Framingham, Mass., is the lead contractor. Key subcontractors include TranSystems, who is providing design services; and Howard Stein Hudson delivering public involvement and outreach services throughout construction. Both subcontractors are based in Boston. Recently completed work includes installing a suspended platform below the lower deck of the bridge (Route 1 Northbound) from Williams Street to Everett Avenue, traffic signs and barriers. Crews also will be working on paint removal, the safety walk demolition and nighttime line striping. According to MassDOT, J.F. White is using the latest techniques for lead and material containment, all to ensure that the work is completed safely, quickly, and with the minimum possible impact to both the traveling public and the residents who live near, under, and around the bridge.